This is one of those quick meals that you can cook in a pinch. It's easy but it still has the homemade feel. And it's delicious! If you've never gotten the Pesto Cavatappi pasta at Corner Bakery before, I would wholly encourage you to give it a try. Or try making your own and enjoy it almost as much. This is a semi-homemade version that I came up with, that requires only 4 ingredients! Yeah, you could get fancy and make your own alfredo/pesto sauce, but who has time for that? Make your life easier and stick to the store bought sauces for this recipe. I couldn't find cavatappi at the store so I had to settle for farfalle. Really any pasta will work. The bowties made a great substitute. 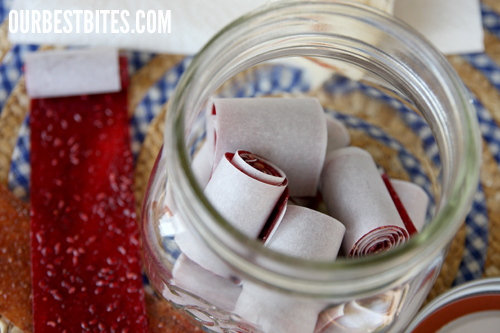 Another treat I'm hoping to make soon. I love, love, love fruit snacks. Especially natural, organic ones. I'm not usually a natural food junkie but they just taste better than the artificial ones. Find the recipe here at Our Best Bites. LOOKS DELICIOUS! I gotta make me some of that! i'm usually not a big fan of pesto. but this looks AMAZING. my husband loves pesto cavatappi... loves it. 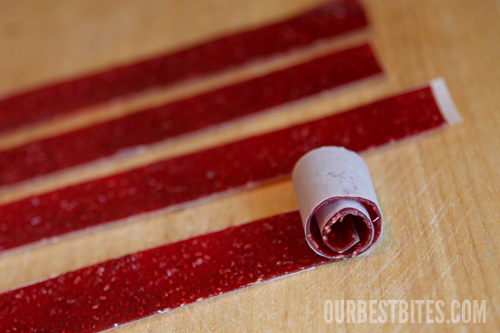 and i want to try to make the fruit roll ups, they look so good! Okay, I HAVE to try this! Looks SOOOO good! This looks so good! Have you ever tried making pesto from scratch in a food processor or blender? I've never been a pesto fan, but I love pasta. When I saw this dish last month I pinned it because I thought my boyfriend would like it and I knew I'd have to try it, especially since it was so easy. I made it tonight. This has made me actually like pesto. Thanks for posting the recipe! Just thought you should know, this is a staple in my house now. My mom is terrible at cooking, so she's so proud to see my sister & I serving ourselves seconds when she cooks this. Thanks!